New project in Bangladesh will reduce child labor in the dried fish sector. Cox’s Bazar, Bangladesh, has long been a bustling fishing port and resort town, and Winrock has worked in the area for years on projects ranging from anti-trafficking-in-persons to alternative livelihood creation. Dried fish for sale at Cox’s Bazar. 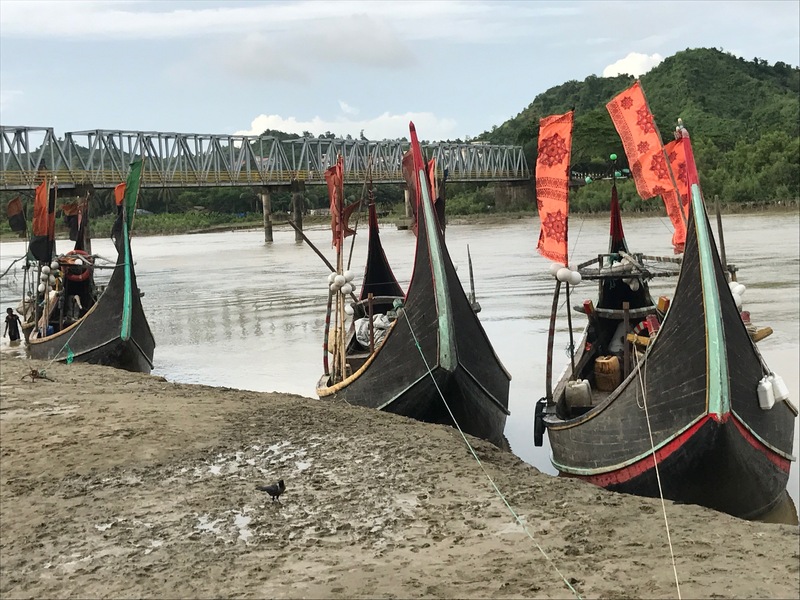 Its newest project in the area — Child Labor Improvements in Bangladesh (CLIMB), funded by the U.S. Department of Labor — is addressing the problem of child labor in the dried fish sector in Cox’s Bazar and surrounding coastal areas. Dried fish is big business in Cox’s Bazar. Restaurants feature it on their menus and tourists buy it (carefully wrapped in plastic) to take home. But to produce dried fish, whole families, including children, work all day under a hot sun. Children work with knives, wear no protective gear and climb on unstable drying racks. The chemicals used as preservatives can lead to skin disease and respiratory problems. Few children who work in this sector are educated, since many fish-drying communities lack a public school. 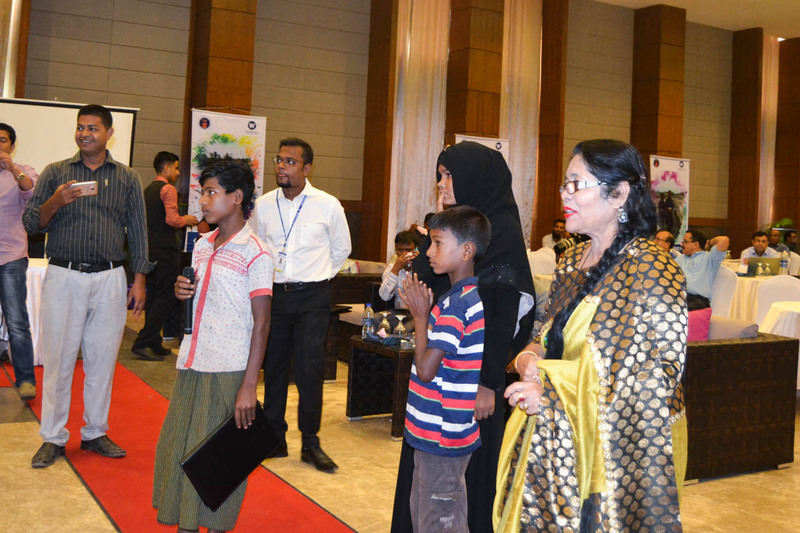 CLIMB was officially launched on August 2, 2018, at an event in Cox’s Bazar featuring Md. Mujibul Hoque MP, Honorable State Minister, Ministry of Labor and Employment. During the launch, the Minister underscored Bangladesh’s drive to address child labor, reiterating the government’s commitment to eliminate hazardous child labor from Bangladesh by 2021 and all forms of child labor by 2025, a public pledge made by Prime Minister Sheikh Hasina at the IV Global Conference on the Sustained Eradication of Child Labor in Buenos Aires, Argentina. To respond to these critical challenges, the minister asked private sector businesses to create decent livelihoods and pay reasonable and competitive wages so that disadvantaged families are less likely to put their children in situations of harmful work at an early age. Md. Mujibul Hoque MP, honorable state minister, Ministry of Labor and Employment, speaks at the event. The launch featured opportunities for dialogue, including a powerful discussion with families whose children work in the dried fish sector. Unbeknownst to the assembled dignitaries in the hall, a mother and her two sons were almost turned away at the door because one of boys was wearing a traditional lungi (sarong-style wrap worn by men though not typically on formal occasions). Fortunately, the family made it into the ceremony and, in front of the more than 130 people in attendance, spoke frankly with Minister Hoque about their work. When they were finished, the boys received a warm round of applause. Winrock International’s Country Representative, Nazbul Khan, opened the event and engaged in a lively discussion on the nuances of child labor and approaches to combating the scourge. Winrock’s Director of Education and Empowerment, Martha Saldinger, traveled from Washington, D.C., to speak at the launch, using her remarks to explain the U.S Department of Labor’s objectives and its continued support to reduce child labor, forced labor and unacceptable working conditions for children. She also expressed appreciation for the support given by the ministry, local government and civil society organizations. Fishing boats at Cox’s Bazar. 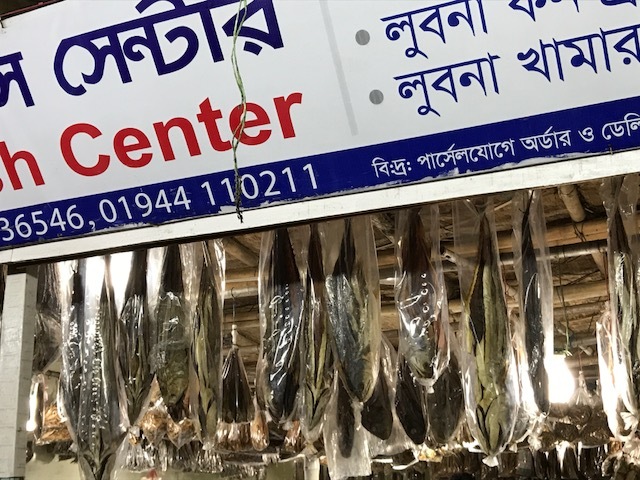 CLIMB Project Director Zaman Khan provided a synopsis of the child labor situation in the dried fish sector, particularly in the southeast region of Bangladesh, as well as the project’s goals, objectives and major interventions. He also explained how CLIMB will contribute to the Government of Bangladesh’s initiatives in eliminating child labor by 2025 and its contributions to Sustainable Development Goals (SDGs). Other dignitaries attended the launch, including two additional Members of Parliament, Alhaz Md. 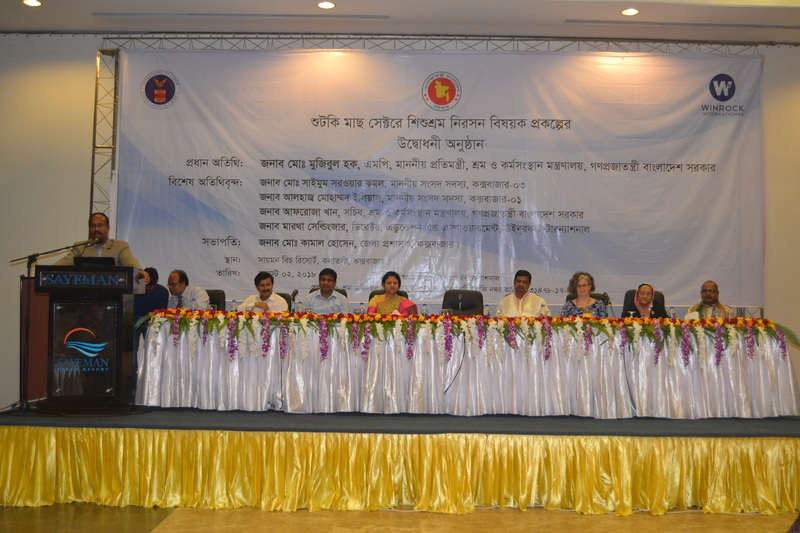 Iliyas and Alhaz Khorshed Ara Haque; the Additional Secretary, Mr. Khondaker Mostan Hossain, and the Secretary of the Ministry of Labor and Employment, Ms. Afroza Khan, who called upon the district-level government administration and civil society organizations to give priority and importance to the elimination of child labor. Members of the district government, United Nations agencies, nongovernmental organizations, educational and civil society organizations, concerned citizens and representatives from the University of Chittagong, INCIDIN and YPSA (all three prospective partners) were also present at the event. These prospective partners bring great strengths to the project, with the university’s strong research capabilities, INCIDIN’s excellent advocacy work at the national level and YPSA’s well-established presence and reach in Cox’s Bazar. A mother and her sons, who work in the dried fish sector, speak at the CLIMB launch event. Funding is provided by the United States Department of Labor under cooperative agreement number IL‐31478-17-75-K. This material does not necessarily reflect the views or policies of the United States Department of Labor, nor does mention of trade names, commercial products, or organizationsimply endorsement by the United States Government. 100 percent of the total costs of the project or program is financed with Federal funds, for a total of $2,000,000 dollars.